Can you loose your fat cells? Do you loose your fat cells as you loose weight? 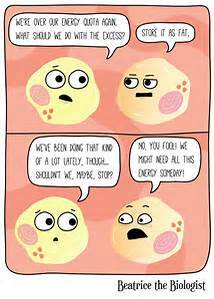 Do you ever wonder what happens to your fat cells? As adults, we actually keep the same number of fat cells throughout our lives, regardless of whether we gain or lose weight. Our fat cells our actually built from infancy into early adulthood. It is the increase of these fat cells and the subsequent shrinking that happens when we gain or loose weight. Here is the catch and why most contestant on the biggest loser, these cells just sit there wanting to get bigger again. Lets call this their “Happy Size”. As explained further in this article, as the cells get closer to their size, our bodies produce more leptin (signals brain to stop eating) and less when they shrink. Have you ever been on a weight loss program and you start getting ravenous? Now you know why. There are so many hormonal implications associated with weight loss and weight gain, striking the right balance and the right pace will keep you succesful. As the article goes further on, the actually say that a plant based diet is better. That is a debatable fact and dependent on the person, their health, their doctors orders and preference. Click here if you would like to read the article in its entirety.